Stem cells are pluripotent cells present in various tissues of the body that can develop into specialized, differentiated cells when triggered. Currently, we have stem cell-derived hematopoietic, cardiac, neuronal, hepatic and pancreatic β cells that have been successfully generated and transplanted into recipient animals. There is now an interest in producing stem cell-derived thyroid cells to potentially treat thyroid disorders. We now have cell-derived embryoid thyrocytes that develop into having proper thyroid function under the stimulation of the thyroid stimulating hormone (TSH). These cells can be produced to have thyroid lineages that can be used in the treatment of thyroid disorders. But there are a few major problems with this development. First, the differentiated thyroid cell populations are still heterogeneous, in fact, the ratio of differentiated (mature) thyroid cells was less than 1%. Second, even those mature thyroid cells are suboptimal in their differentiated function, one example of which is the lack of thyroglobulin expression in these cells. This means that they will not be able to replace damaged or lost thyroid cells in thyroid disorders given their inability to express thyroglobulin or perform other biochemical or molecular processes. Even if there is a success in developing fully functional thyroid cells from stem cells in mice, replicating so in humans is quite challenging. While there has been success in developing human stem cell-derived insulin-expressing pancreatic β cells and hepatocytes, there still some ways to go before we get similar results with thyroid tissue. Having said that, similar strategies that have been successful with pancreatic B cells, are being used to achieve success with their thyroid counterparts. 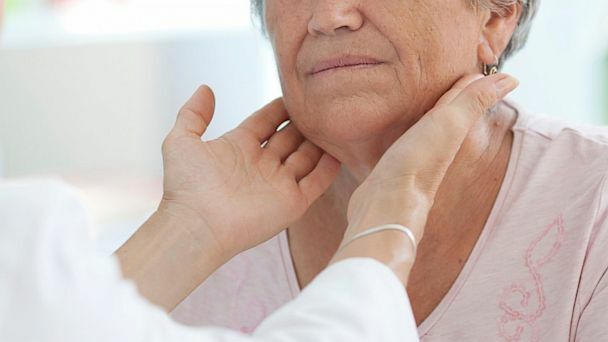 Researchers have recently been able to generate functional thyroid tissue from stem cells derived from different mammalian models. By making these stem cells more responsive to a specific growth and stimulating factors, it has become possible to create functional thyroid organoids from embryonic stem cells (ESCs) and induced pluripotent stem cells (iPSCs) derived from the skin cells. The main interest in developing these thyroid organoids from stem cells is to eventually transplant them into patients with various forms of hypothyroidism. At present, the treatment for hypothyroidism is hormone replacement therapy with Thyroxine. This comes in a pill form and needs to be taken daily and titrating the correct dose can sometimes be arduous, as it is based on the severity of hypothyroidism and one’s metabolic rate and energy requirements. And even when you strike the right dose for the patient, it can change based on the patient’s body function, activities, other ailments, etc. So, it would be a very welcome addition to the management of thyroid disorders if there is a way to replenish thyroid cells damaged due to autoimmune conditions (Hashimoto’s disease) or removed surgically or radioablated (thyroid cancer) with fully functional and lasting thyroid tissue. This is a very promising prospect but more research is required to ensure its safety, efficacy and long-term consequences.